This was taken on the weekend. 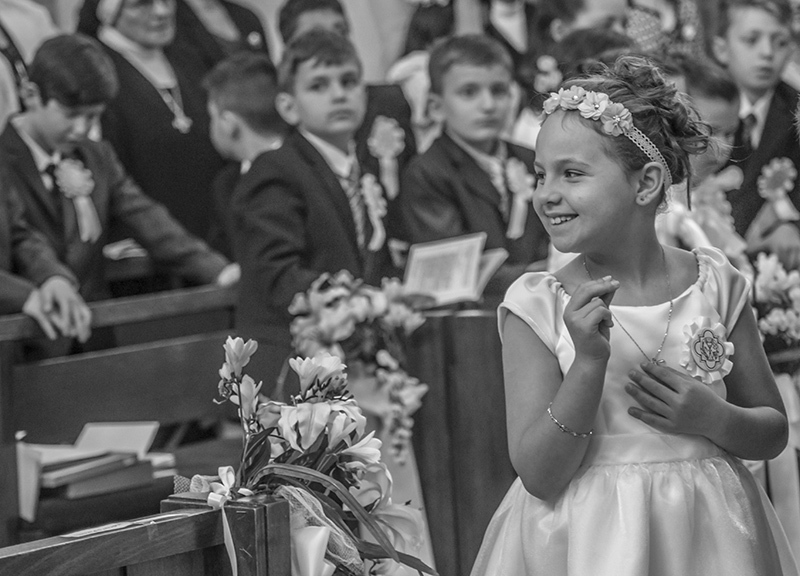 My youngest Sophie had her first Holy Communion. She was very nervous and was making sure that she would get the sign of the cross right as she received the wine and bread. Congratulations on your first 6+ score. Beautiful image deserved no less. Wish we could have been there to celebrate with you all. Really love this- one of my favourites for this challenge. The feel good image of the challenge. Nicely captured moment, and I like how the people in the background are still in focus enough to see that they are all doing their own thing. Proudly hosted by Sargasso Networks. Current Server Time: 04/23/2019 06:35:12 PM EDT.